On Sale! Save $1000 on this one, we've marked it down from $17990. The boxy shape of the Scion xB makes it an extremely practical compact hatch. 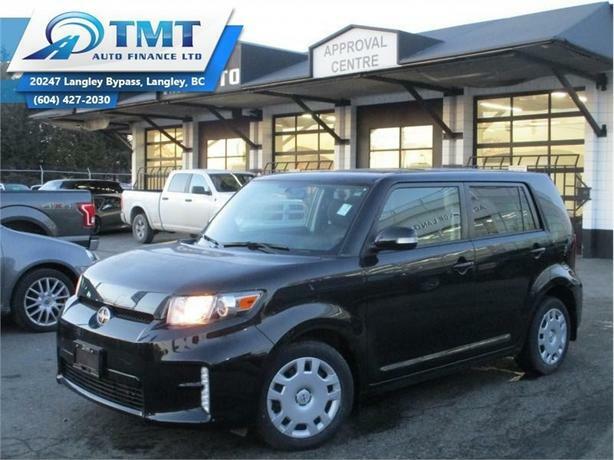 This 2015 Scion xB is for sale today in Langley. Interesting cars don't have to me impractical. The Scion xB has a style as unique as the driver. It stands out and turns heads while being a totally practical compact hatchback. It's good on gas, has tons of cargo room, and it's a safety award-winner. It's also highly customizable to make your Scion xB one of a kind. Get your Scion xB and make it yours. This low mileage wagon has just 46131 kms. It's black in colour and is completely accident free based on the CARFAX Report. It has a 5 speed manual transmission and is powered by a 158HP 2.4L 4 Cylinder Engine. It may have some remaining factory warranty, please check with dealer for details. Buy this vehicle now for the lowest bi-weekly payment of $110.69 with $0 down for 84 months @ 4.99% APR O.A.C. ( Plus applicable taxes - Plus applicable fees ). See dealer for details.